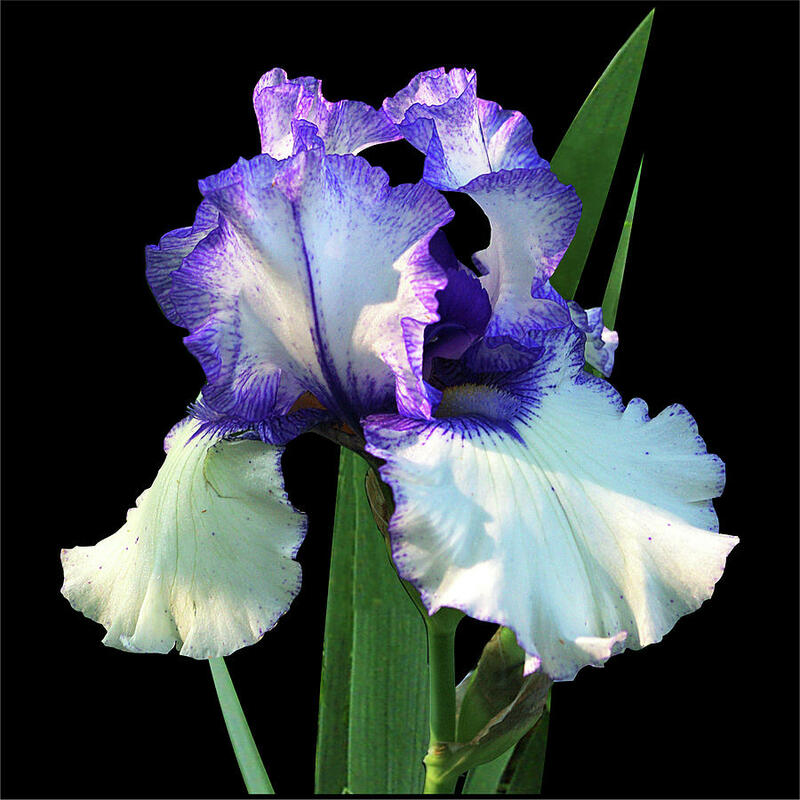 Spotlight On 'freedom Song' Bearded Iris is a photograph by R V James which was uploaded on July 25th, 2016. 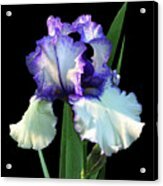 I have a collection of Iris in my garden and this one is really striking � Iris germanica �Freedom Song� � snowy white, accented with blue-violet. 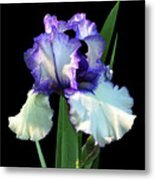 I started with my digital photo of this flower in my garden, adjusted sharpness and white balance in Photoshop and then masked the flower in CorelDraw and presented it against a black background to focus attention on the flower. Great color, clarity and composition!